Gaze cues lead to reflexive shifts of attention even when those gaze cues do not predict target location. Although this general effect has been repeatedly demonstrated, not all individuals orient to gaze in an identical manner. For example, the magnitude of gaze-cuing effects have been reduced or eliminated in populations such as those scoring high on the Autism-Spectrum Quotient and in males relative to females (since males exhibit more autism-like traits). In the present study, we examined whether gaze cue effects would be moderated by political temperament, given that those on the political right tend to be more supportive of individualism—and less likely to be influenced by others—than those on the left. We found standard gaze-cuing effects across all subjects but systematic differences in these effects by political temperament. Liberals exhibited a very large gaze-cuing effect, whereas conservatives showed no such effect at various stimulus onset asynchronies. One of the most important skills for successful human interaction is joint attention—the ability to follow the direction of another individual’s eye movements or gaze. Joint attention has been observed in individuals as young as 3 months (e.g., Scaife & Bruner, 1975) and is thought to be a critical first step in learning social interaction, given that gaze provides important information regarding an individual’s interests and intent (e.g., Moore & Dunham, 1995). In adult populations, gaze cues have been shown to lead to reflexive shifts of attention in the direction consistent with gaze (e.g., Bayliss & Tipper, 2006; Driver et al., 1999; Friesen & Kingstone, 1998; Friesen, Ristic, & Kingstone, 2004; Kingstone, Tipper, Ristic, & Ngan, 2004). In the laboratory, these effects are typically demonstrated by presenting a nonpredictive cue at fixation that is a drawing/photograph of a face looking to the left or right. Despite the fact that the gaze cue is uninformative, participants are faster to detect peripheral targets when the cue is valid (the target appears in a location consistent with gaze), relative to when the cue is invalid (the target appears in a location inconsistent with gaze). Moreover, gaze direction can also influence affective evaluations of objects (Bayliss, Frischen, Fenske, & Tipper, 2007) and judgments of trustworthiness (Bayliss & Tipper, 2006). Although gaze cue effects have been repeatedly demonstrated, it is not the case that all individuals orient to gaze cues in an identical manner. For example, some researchers have demonstrated that gaze cue effects are reduced in individuals who have been diagnosed with autism or who score high on Baron-Cohen, Wheelwright, Skinner Martin, and Clubley’s (2001) Autism-Spectrum Quotient Questionnaire (ASQQ; e.g., Bayliss & Tipper, 2005, but see Nation & Penny, 2008). Relatedly, Bayliss, di Pellegrino, and Tipper (2005) reported gender differences in the magnitude of gaze-cuing effects, with females exhibiting larger cuing effects. The authors argued that this result was attributable to males’ displaying more autism-like traits than did females, which was supported by a negative correlation between the autism-spectrum quotient and cuing-effect magnitude in their participants. Thus, individual differences do exist for gaze cuing, although outside of the autism spectrum, little research has been conducted to determine whether certain types of individuals are more or less susceptible to the influence of gaze cues. One factor that may correlate with gaze-cuing effects is the degree to which an individual values personal autonomy, since an individual with this orientation may be less likely to be influenced by others. To examine this possibility, the present study investigated whether gaze-cuing effects are moderated by political temperament. Individuals on the political right tend to be more supportive of individualism than those on the left, a point evident in the philosophy of the influential conservative thinker Ayn Rand. Rand was appalled at the tendency of many people to allow their preferences and behaviors to be shaped by the actions of those around them, perceiving such people to be despicably weak in contrast to the “individualists” or “active men,” (whom she believed to be the kind of strong people we all should be). Rand wrote a nonfiction document entitled “Manifesto of Individualism,” and the hero of her central fictional work was “born without the ability to consider others” and “with emotions entirely controlled by logic” (see Burns, 2009). Obviously, it is not the case that all those placing themselves on the political right subscribe to Rand’s unbending deification of individualism; still, her writings have long resonated better with those on the political right than with those on the political left. Similarly, political liberals are often thought of as more empathetic and more concerned with the welfare of others relative to conservatives, meaning that liberals may be more susceptible to the influence of social cues. The contrasting normative evaluations of the influence of “others” on life’s choices (with some believing social influence is a sign of weakness and some believing it is a sign of humanity) leads to an interesting research question. Are normative preferences aligned with cognitive biases such that, as compared with those on the political left, those on the political right are less influenced by others? That was the focus of the present study. Seventy-two undergraduate students from the University of Nebraska-Lincoln (44 female, 28 male) underwent individual 30-min sessions, receiving course credit as remuneration for participating. All had normal or corrected-to-normal vision and were naïve about the purpose of the experiment. The experiment was individually conducted on a Pentium IV PC, and participants were seated approximately 44 cm from the computer screen. At the beginning of each trial, a central fixation cross (black, 1.0° in diameter) was presented on the computer monitor with a white background (see Fig. 1 for a complete trial sequence). Participants were instructed to fixate the central fixation point and to not move their eyes for the duration of the experiment. Following a period of 250 ms, the fixation cross was replaced by a schematic drawing of a face (black, 6.0° in diameter), although no pupils were present in the eyes of the initial image. After an additional 750 ms, pupils appeared in the eyes, such that the schematic drawing was now looking to either the left or the right. Participants were explicitly informed that the direction of gaze was not predictive of the location of the upcoming target. A variable cue–target stimulus onset asynchrony (SOA) of 100, 500, and 800 ms preceded target presentation (a black circle subtending 1.5° and appearing 2.5° to the left or the right of the schematic face). The target was equally likely to appear on either the left or right side of the face. Participants were instructed to press the spacebar as quickly as they could once they detected the target. Responses less than 100 ms or greater than 1,000 ms were considered errors, and these trials were omitted from later data analysis. The next trial began 500 ms after each response. Following the target detection task, participants were asked to complete two batteries of survey items: a modification of the well-known Wilson–Patterson Inventory (Wilson & Patterson, 1968) and a newer “Society Works Best” collection of items. The Wilson–Patterson Inventory asked respondents to indicate whether they agreed or disagreed with a number of “hot-button” topics (e.g., abortion, gay marriage). On the basis of responses to the 24 items, participants received a score indicating the extent to which they held liberal or conservative positions. Similarly, the “Society Works Best” contained 15 items that asked participants to choose which of two paired scenarios would make society best (e.g., “it is better to follow authority or it is better to question authority”). As with the Wilson–Patterson Inventory, responses were scored and tallied to determine whether individuals were skewed more toward positions traditionally viewed as liberal or conservative (for a full discussion of this index and its ability to tap into bedrock beliefs of social organization, see Smith, Oxley, Hibbing, Alford, & Hibbing, in press). Finally, all participants were asked to self-report their ideology. Participant scores on the three political indicators—the Wilson–Patterson Inventory, “Society Works Best,” and self-reported ideological position—were combined to yield a broad measure of orientation.1 We then ranked all 72 participants on this broad measure and performed a median split on the data so that a comparison between liberals (20 female, 16 male) and conservatives (24 female, 12 male) was possible. The experiment consisted of 240 trials. A short break was offered after 120 trials. Prior to the experiment, participants were given 5 practice trials to familiarize themselves with the task. Errors occurred on fewer than 0.8% of all trials, and these trials were eliminated from all subsequent analyses. Reaction times (RTs), standard deviations, and cuing effects for targets appearing at each target location as a function of gaze direction and political temperament are presented in Table 1. For both valid (gaze-toward) and invalid (gaze-away) cue trials, RTs were collapsed for the left and right target locations after preliminary analyses indicated no difference between these items. To examine the RT by gaze direction effects, the mean RTs were analyzed with a 2 (political temperament: liberal vs. conservative) × 2 (cue validity: valid vs. invalid) × 3 (SOA: 100, 500, 800 ms) mixed analysis of variance (ANOVA). There was a significant main effect of cue validity, F(1, 70) = 20.40, MSE = 389.75, p < .01, since participants were faster to detect targets when the schematic face was looking toward the target location (valid), as opposed to away from the target location (invalid). There was also a significant main effect of SOA, F(2, 140) = 421.02, MSE = 304.12, p < .01, signifying the fact that responses were faster at longer SOAs, reflecting a standard foreperiod effect. Critically, there was an interaction between political temperament and cue validity, F(1, 70) = 12.96, MSE = 389.75, p < .01. Independent sample t tests demonstrated that the magnitude of the gaze-cuing effect was larger for liberals at all three SOAs (11, 22, and 13 ms), relative to conservatives (1, 3, and 0 ms). This difference was significant for both the 500-ms SOA, t(70) = 4.47, p < .01, and the 800-ms SOA—t(70) = 3.35, p < .01, but not for the 100-ms SOA, which approached, but did not reach, conventional levels of significance, t(70) = 1.49, p = .15. Conservatives did not elicit the standard attentional gaze effect at any SOA, although the collapsed data across all participants did lead to overall gaze-cuing effects at all three SOAs (all ps < .05). There were no other significant effects or interactions (all ps > .20). 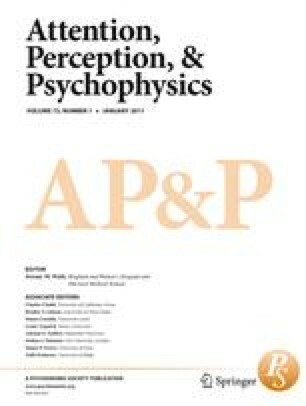 The purpose of the present study was to determine whether political temperament would moderate gaze-cuing effects, on the logic that those on the political right tend to be more supportive of individual autonomy—and, as such, may be less likely to be influenced by others—than are those on the political left. As would be expected in a task of this type, significant gaze-cuing effects were observed at all SOAs when the data of all participants were collapsed. A more surprising picture emerged, however, when political temperament was taken into account. Specifically, the magnitude of the gaze-cuing effect was much larger for liberals than for conservatives, with conservative participants actually failing to show a statistically significant gaze-cuing effect at any of our SOAs. One question that remains is why, exactly, conservatives are less susceptible to gaze-cuing effects, relative to liberals? We have argued that conservatives tend to value personal autonomy more so than liberals, making them less likely to be influenced by others and, in turn, less responsive to gaze cues. Other possibilities exist, however, that could account for the present findings. For example, it is possible that the present effects are linked to previous work demonstrating that the magnitude of cuing effects can be reduced or eliminated in individuals who score high on Baron-Cohen et al.’s (2001) ASQQ (Bayliss & Tipper, 2005) and in males relative to females, given that males tend to display more autism-like traits (Bayliss et al., 2005). It stands to reason, therefore, that if conservatives possess more autism-like traits than do liberals, this could account for the present findings. Although participants in the present study did not complete the ASQQ, it is unlikely that the present results are driven solely by autism-like traits given that our conservative sample contained more females and fewer males than our liberal group. Another possibility is that liberals are more empathetic than conservatives and that the present results are moderated by this variable. This would explain why the magnitude of gaze-cuing effects reported here for liberals was larger than is normally observed in a task of this type, but this alone would not account for why conservatives failed to exhibit a gaze-cuing effect. A final possibility is that these results are moderated by trust. Perhaps conservatives are less likely to trust others, meaning that they are also less likely to trust a gaze cue (alternatively, one could argue that conservatives are more likely to trust authority and, as such, were more likely in the present experiment to believe the experimenter’s directive that the gaze cue was uninformative, making it easier to ignore). Further research will be required to delineate between these possibilities.3 In any case, it is important to note that gaze-cuing effects are often thought to be attributable to reflexive shifts of attention in response to the gaze cue, meaning that an elimination of the effect in a large group is surprising. This suggests that either a) gaze-cuing effects are less reflexive than has previously been believed or b) certain individuals can moderate the effect of gaze cues via top-down control. It is worth noting that when all of the participant data are collapsed in the present study, significant gaze-cuing effects are observed, the magnitude of which is consistent with previous research. It is likely, therefore, that the factors that moderate gaze-cuing effects would go unnoticed without explicit exploration. Given the present findings, other factors such as social anxiety and cultural norms, which also have the potential to moderate gaze cue effects in a meaningful way, will have to be explored if we are to better understand gaze-cuing effects. Moreover, it is worth noting that the present effects were observed with a schematic face cue, as opposed to a photograph. Although both cue types are commonly used and lead to sizable cuing effects, it will be interesting for future research to determine whether cue type interacts with these other moderating variables. The present results may also help to explain why gaze-cuing effects have been inconsistently demonstrated at very early SOAs. One of the critical markers of reflexive shifts of attention is that they occur at very early cue–target SOAs. In peripheral-cuing experiments—which are a well-established measure of reflexive attention—participants are often faster to respond to targets appearing at cued locations, even with cue–target SOAs of 50 ms or less (e.g., Jonides, 1981). With gaze cues, however, cuing effects are not always observed at cue–target SOAs of 100 ms or less (e.g., Driver et al., 1999), which would seem inconsistent with the notion that gaze cues produce reflexive shifts of attention in the direction of gaze. In the present experiment, the magnitude of our overall cuing effect at the 100-ms SOA was small (6 ms) and just reached conventional levels of significance (p = .047). When the participants were divided up in terms of political temperament, however, a large cuing effect of 11 ms was observed for liberals at the 100-ms SOA. Given that the magnitude of gaze-cuing effects is smaller at earlier SOAs, it is possible that a group of participants that skews more conservative could mask the gaze-cuing effects being exhibited by other participants. Finally, the present study has the potential to further extend our understanding of how political attitudinal and behavioral differences emerge in the general population. Political scientists have traditionally accounted for these differences purely in terms of environmental forces (e.g., Lewis-Beck, Jacoby, Norpoth, & Weisberg, 2008) but recent evidence indicates that political orientations may also have some partial basis in biology (Alford, Funk, & Hibbing, 2005; Fowler & Dawes, 2008; Hatemi et al., 2009). Lost in the discussion of a possible connection to biology is the fact that the potential role of cognitive and attentional biases (wherever they come from) has as yet gone unexplored. Conservatives have already been shown to be more sensitive to threatening/disgusting stimuli (Oxley et al., 2008) and have more structured and persistent cognitive styles (Amodio, Jost, Master, & Lee, 2007), meaning that there is a strong likelihood that liberals and conservatives will exhibit cognitive differences across a variety of tasks. The research reported here is an attempt to redress this oversight and, in the process, demonstrate that liberals and conservatives do indeed perform quite differently on a basic, well-established cognitive task. Thus, in addition to providing insight into individual differences in attentional gaze, the correlation identified here between political orientations and gaze cues encourages additional research and, perhaps, a revised conceptualization of the nature of political preferences. Measuring political temperament is, admittedly, a tall order given the complex nature of this variable. Indeed, the reason for using multiple measures of political orientation is that it is sometimes the case that individuals self-identify as conservative but report specific issue positions (such as those found in the Wilson–Patterson Inventory) that would be deemed more liberal. For our combined measure, the scores on the Wilson–Patterson and Society Knows Best scales were rank ordered and divided into thirds with participants receiving a score ranging from 0 to 2, depending on whether their scores were in the third of participants whose scores were most consistent with the political left (score = 0), the political right (score = 2), or the middle (score = 1). Similarly, for self-reported ideology, participants received a 0 if they self-reported liberal, a 2 if they self-reported conservative, or a 1 if they either a) provided a label such as moderate or b) did not self-report. Thus, all participants ended up with a combined score ranging from 0 (most liberal) to 6 (most conservative) and a median split allowed us to determine which participants were more left leaning and which were more right leaning. To ensure that our combined measure adequately captured political temperament, all of the analyses conducted in the present research were also replicated using each individual scale as our measure of temperament, rather than our combined measure, and the results remained unchanged. Rerunning the correlations while controlling for gender leads to estimates similar to those reported in Table 2, with all the significant correlations from Table 2 also being significant for this analysis. Moreover, these same correlations are significant when our composite political temperament measure is replaced with an individual score on the Wilson–Patterson questionnaire or the Society Knows Best questionnaire. We would like to thank three anonymous reviewers for suggesting these possibilities. This research was partially supported by Natural Sciences Foundation Grant BCS-0826828, John Hibbing, Principal Investigator. We would like to thank Alex Knezevic and Andrew Neal for their assistance in data collection. We would also like to thank Michael Wagner, Bradley Gibson and three anonymous reviewers for useful comments on earlier drafts of the manuscript. Correspondence may be sent to Mike Dodd, The University of Nebraska –Lincoln, 238 Burnett Hall, Lincoln, NE, USA, 68588 (mdodd2@unl.edu).